Dawn Carroll (right) has been Patti Austin’s (left) guiding light in her design goals. In an effort to spread the message globally about the importance of mentoring, the Over My Shoulder Foundation founding members Patti Austin and Dawn Carroll went to Germany to attend the Leaders of Design Council Conference, which was held April 3-5, 2013, at the Hotel de Rome. The event was sponsored by CUMAR Marble and Granite, and the company in conjunction with the Over My Shoulder Foundation used this opportunity to share their collaborative mentoring mission known as “Designing the Next Generation” to inspire others in the industry to share their experiences and knowledge with the rising generation of designers. CUMAR is a natural fit to sponsor the event, as the company attributes its eight generations of leadership to embracing mentoring within the company. Dawn Carroll is an award-winning stone designer at CUMAR and has benefited from learning special craftsmanship that has been passed down to her from mentors within the company. Today Dawn serves at Patti Austin’s guiding light, helping her to make the transition from a successful music career to her dream of becoming an interior designer. Both women have been positively impacted by strong mentoring relationships in their lives and, therefore, want to encourage others within the design community to assist with “Designing the Next Generation”. Prior to the Leaders of Design Council Conference in Germany, the two women had a speaking engagement at the Design Bloggers Conference in L.A. regarding their passion for the mentor-mentee relationship. They were also recently recognized by the American Society of Interior Decorators with an Excellence in Design Award in Boston. For more information about the Over My Shoulder Foundation and our mission of “Designing the Next Generation”, please contact us today. 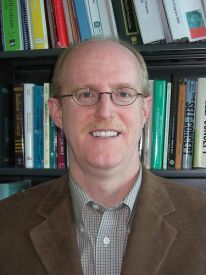 Dr. David Dubois will speak at the conference. Embracing the art of mentoring ourselves, the Over My Shoulder Foundation would like to make you aware of an exciting upcoming event: the 14th Annual Mentoring Conference. This annual mentoring conference will take place on Thursday, April 18th and Friday, April 19th at the Oracle Conference Center in Santa Clara. While many people believe that mentoring is an effective way to positively impact the younger generations in our communities, few have what it takes to be consistent with sustaining these efforts. For this reason, this year’s conference theme is Making the Most of Mentoring, and it will focus on addressing strategies and teaching skills to help build successful mentoring relationships. Conference participants should leave the event with valuable information and knowledge to implement into their new or existing mentoring programs. Attendees will benefit from hearing guest speakers David DuBois, Ph.D., and Michael Karcher, Ed.D, Ph.D., talk about the value of mentoring. In addition, participants can take part in 10 pre-conference courses on Thursday and 15 short workshops on Friday to dig deeper into the subject. To learn more about this exciting mentoring conference brought to you by Friends For Youth, please visit the website for additional details. If you’re unable to attend the annual mentoring conference, the Over My Shoulder Foundation offers a number of events throughout the year to raise the awareness of the positive impact that mentoring can have both cross-culturally and cross-generationally. Please be sure to “like” our Facebook page to stay up-to-date with our upcoming events. 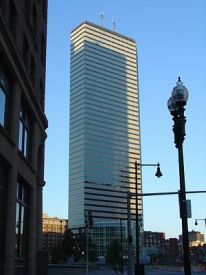 The event will take place at One Financial Center. For the past ten years, Root Causes’s Social Innovation Forum has been recognizing results-oriented non-profit organizations that are dedicated to effectively solving social problems faced today. GRLZradio.org, a Boston-based non-profit organization, has been selected as one of the five 2013 Social Innovators and will be awarded over $115,000 in cash and resources from Root Cause and its partners over the next 18 months. The mission for GRLZradio.org is promote education, economic opportunity, and self-sufficiency for women and girls living in Boston. The Social Innovation Forum will host a series of events throughout the month of March to help us all think more broadly about the fields that we work in and ways that we can add value to others. GRLZradio.org will be featured at an event that focuses its discussion on women and girls on Thursday, March 21st, from 8:30 am to 10:00 am at Brown Rudnick, One Financial Center in downtown Boston. The event at Brown Rudnick will be a precursor for the Social Innovator Showcase, which will take place on Thursday, May 9th, at the Microsoft New England Research & Development Center in Cambridge. At the Social Innovator Showcase, GRLZradio.org will be introduced to over 300 leaders from the business, government, and philanthropic sectors of Boston to share its unique mission and ways that it has helped to provide new opportunities and better lives for young women living in Boston. The Over My Shoulder Foundation is another Boston-based non-profit organization that also uses a unique approach to mentoring. By focusing on “Designing the Next Generation“, the Over My Shoulder Foundation shows how powerful the art of mentoring can be, most specifically in the world of interior design. For more information about our organization and how you can become a part of this cause, please contact us today!